Miami Dade Police Officer Kenny Bonnet patrols in Kendall on Wednesday, Dec. 13, 2017. The Miami-Dade County Police Department has created a new unit tasked with preventing people with serious mental illnesses from reaching a crisis point or potentially shooting someone with firearms, WLRN has learned. 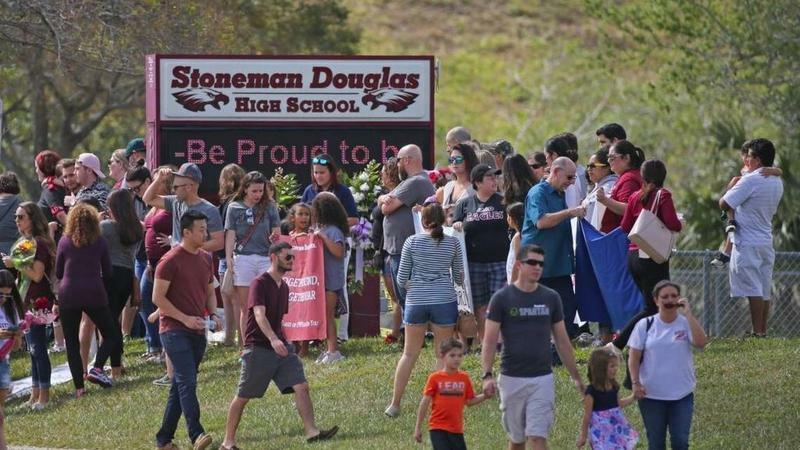 The unit was partially created in response to the Feb. 14 shooting at Marjory Stoneman Douglas High School in Parkland, which left 17 people dead. In an interview, team leader Lieutenant Patrick Calvo explained that the Threat Management Section is trying to form closer working relationships with people suffering from serious mental illnesses who frequently come in contact with the department. The program is also tasked with removing firearms from people deemed a threat to themselves or others. “When we go out to take firearms, it’s somebody who we truly feel could pose a true threat to public safety,” said Lt. Calvo. Since a "soft launch" in June, the unit has already obtained 20 "restrained protective orders" against people across Miami-Dade County, which last for a full year, Calvo said. Those orders allow police to remove firearms, ammunition, and a concealed weapons permit of an individual, thanks to a new “red flag” law passed by the Florida legislature in the wake of the Parkland tragedy. WLRN's Daniel Rivero talks with Miami-Dade Police Lieutenant Patrick Calvo about the newly created Threat Management Section. In total, the new unit has three different missions. The first is to interact with people who have received orders for the removal of firearms, and in many cases to ask the court for permission to remove someone’s firearms. The Marjory Stoneman Douglas High School Public Safety Act allows police to make a case to a judge to remove firearms from someone against their will, first with a temporary 14-day order. After that temporary order, there is a court hearing where the individual can make their case to a judge to get their firearms back. If the judge is not convinced, the firearms can be detained for a full year, at which point they would again go before a judge. The second mission of the new unit is to forge closer relationships with people who frequently have the police called on them during a crisis, or who frequently call 911 themselves. The “Baker Act” refers to a state law which allows someone to be institutionalized for up to 72-hours against their will if they are deemed a threat to themselves or others. 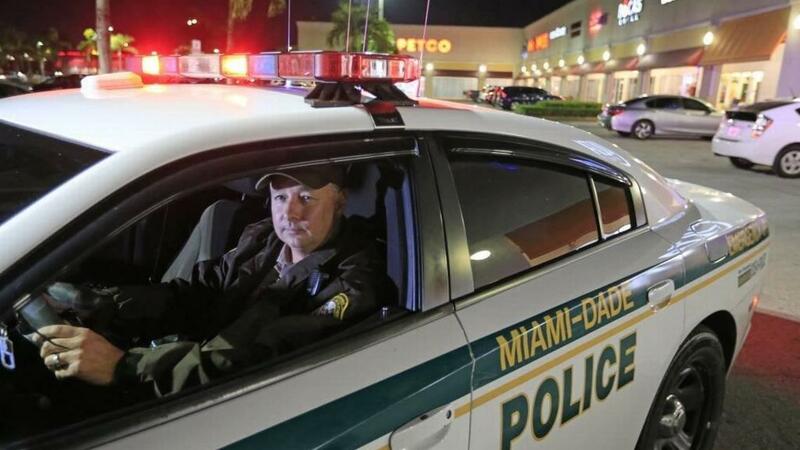 Often Miami-Dade Police are the ones who make the determination that someone should be Baker Acted when they respond to a call and find someone unstable. Officers working with the new team are assigned to make regular check-ins with those individuals, almost like case workers. “We try to develop a friendship and a rapport with these individuals to gain trust. Because unfortunately the last experience they might have had with law enforcement is probably negative. Hopefully not, but it probably was,” said Calvo. The point of checking in with these “high utilizers,” as Calvo calls them, is to connect them with community services and treatment. Calvo described a partnership with Banyan Health, which operates a mobile crisis team that will show up to an individual’s home for treatment, without having to bring someone into a mental health facility under the Baker Act. A partnership with South Florida Behavioral Health Networks, the entity that manages state behavioral health funds for Miami-Dade and Monroe County, helps walk people through the treatment process. If someone agrees to sign to a medical release of information with the police department, officers will gain access to that person’s medical records and will work alongside mental health staffers to make sure the individual is getting to their doctor’s appointments and taking medication. Working with officers is “completely voluntary” for these kinds of cases, Calvo stressed. The third mission of the new unit is to handle threat assessment for individuals that come on the department’s radar after a suspicious incident of some sort. This is an investigative part of the unit’s work: to determine how much of a risk a person might be to public safety. People can come onto the radar of the team either by another part of the Miami-Dade Police Department or by being referred to the unit by one of the community partners, said Calvo. Partners that issue referrals include Miami-Dade County Corrections and Rehabilitation, South Florida Behavioral Health Networks and Florida’s Department of Children and Families. An information-sharing agreement has been in place with Miami-Dade Public Schools and the Miami-Dade Public Schools Police Department since the 2012 Sandy Hook school shooting in Newtown, Connecticut. 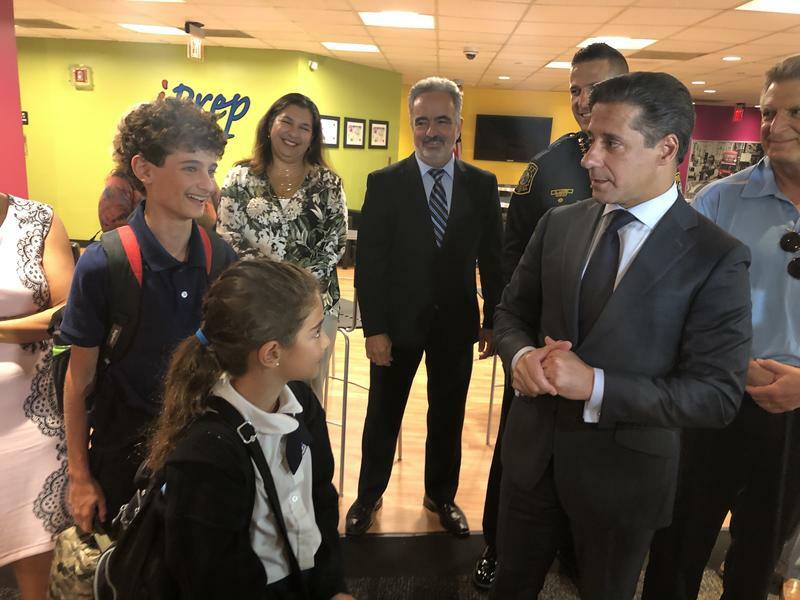 "Superintendent [Alberto] Carvalho met with the mayor and police chiefs to discuss ways to prevent similar tragedies here," wrote Miami-Dade Schools spokesman John Schuster in an email. 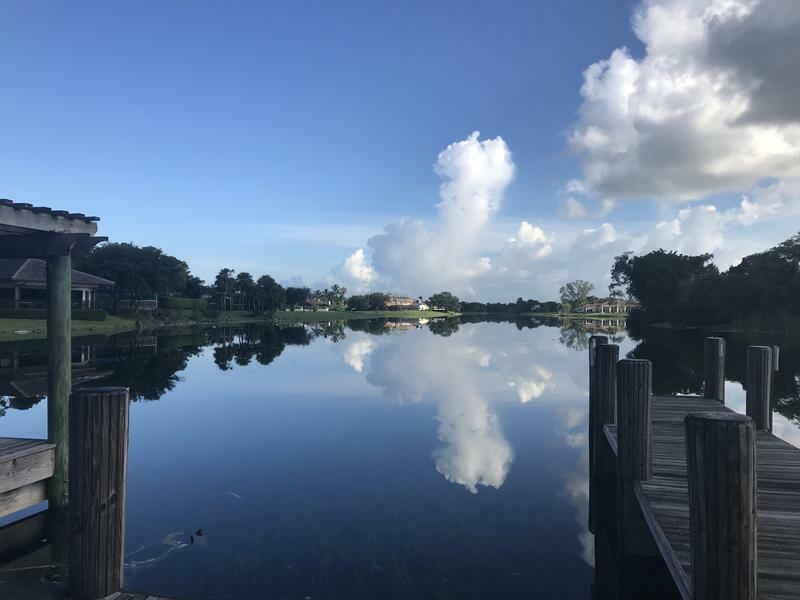 "One important need that was expressed was the need for agencies to share information about potential danger to the community, instead of keeping important information in 'silos.'" Lt. Calvo said the new unit is working to deepen its relationship with the school district. Hearings where firearms are removed from individuals take place in the Domestic Violence court, in the 11th Judicial Circuit. The hearings are open to the public. The Threat Management Section is currently staffed with ten detectives, two sergeants and one lieutenant. Eventually all positions will be filled and it will have a total of 14 detectives. Officers must be certified in Crisis Intervention Team training and commit to working in the section for at least two years in order to develop trust and a relationship with the community. The success of this program will be difficult to measure. In some ways its work will be measured in terms of things that don’t happen, rather than things that do happen. Though there are some benchmarks, like helping people get behavioral treatment and minimizing calls to 911 for crisis response. “The goal is to just prevent a tragedy,” said Calvo. Schools reopen in Broward County next week, and students are feeling anxious about returning after the deadly shooting that struck the district almost six months ago.